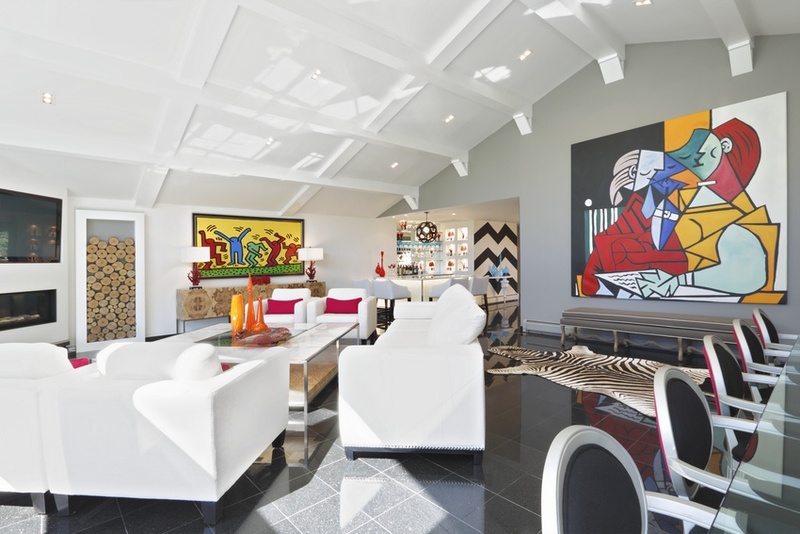 This classic one story ranch located in Long Branch, NJ is used by a large a three generational family for weekends. 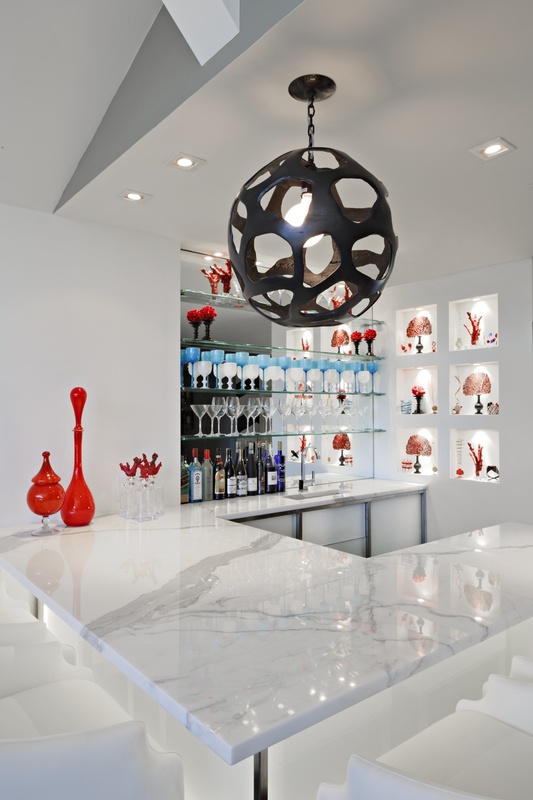 While keeping the black granite floor the interior design is done in eggshell white, linen, leather, and frosted glass. 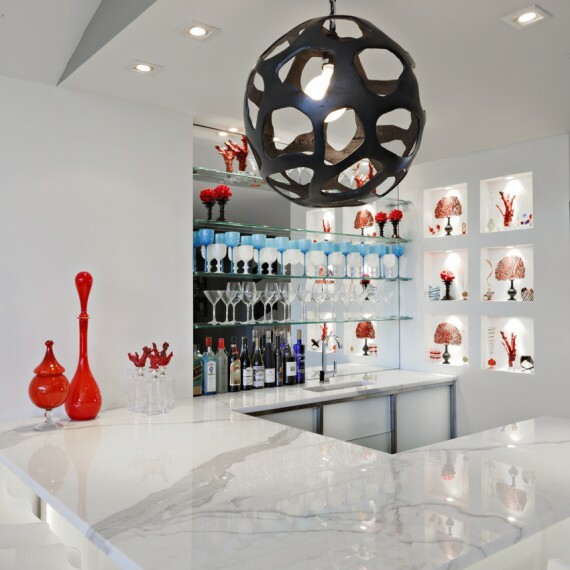 Backlit bar and burl wood is used for this large home. 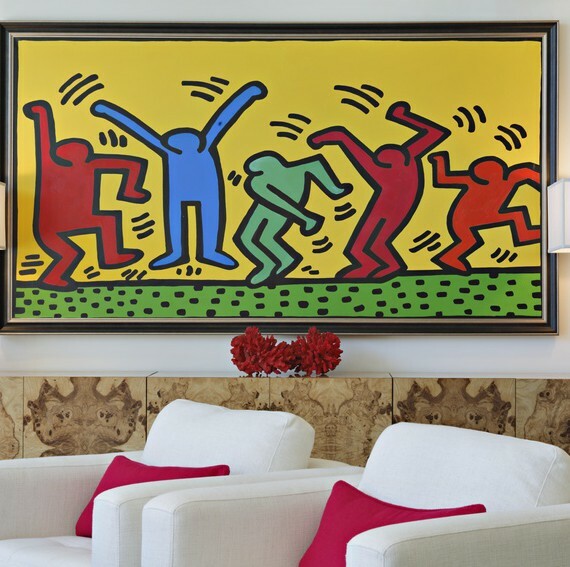 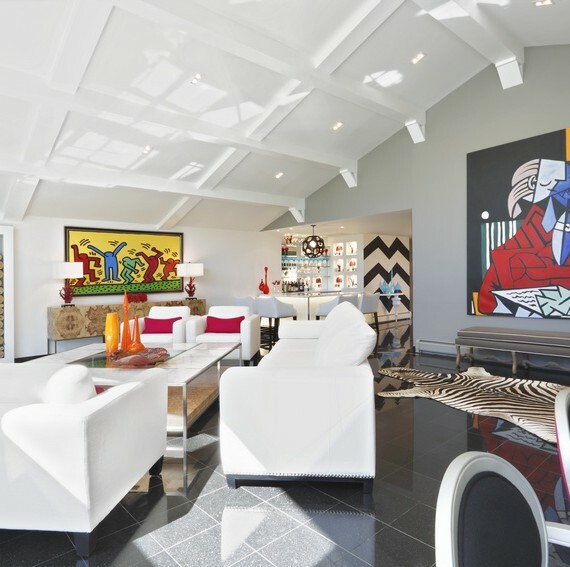 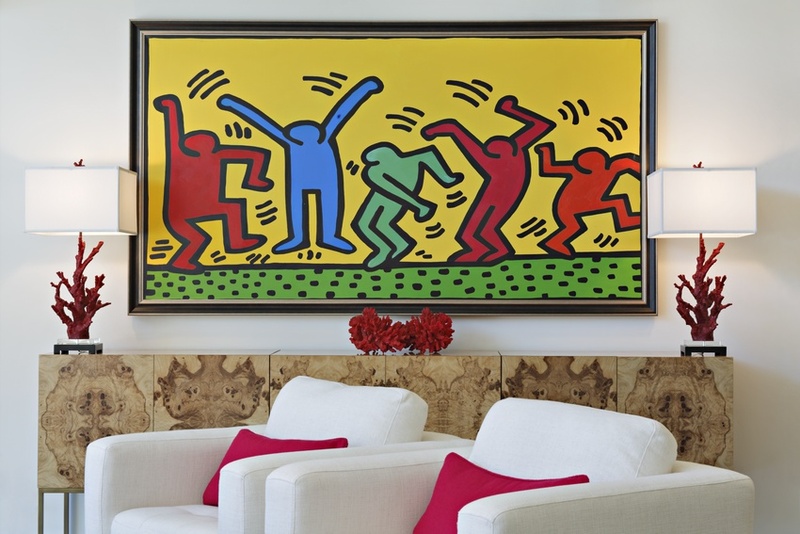 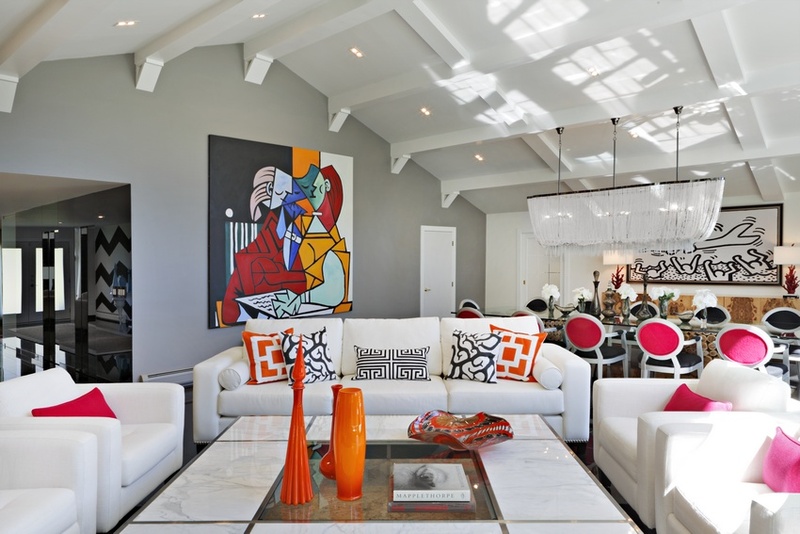 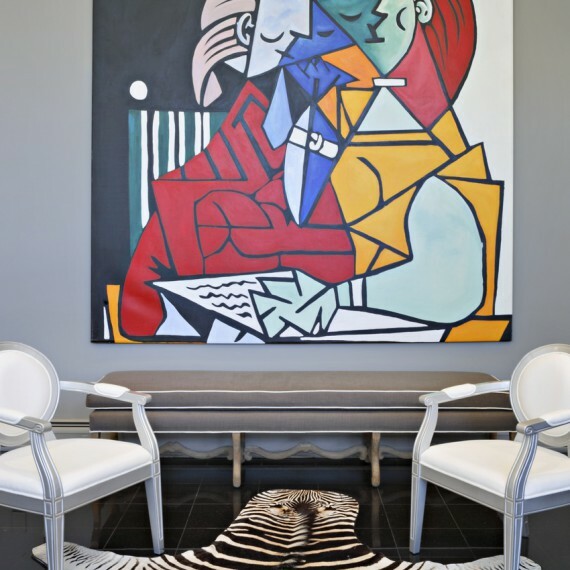 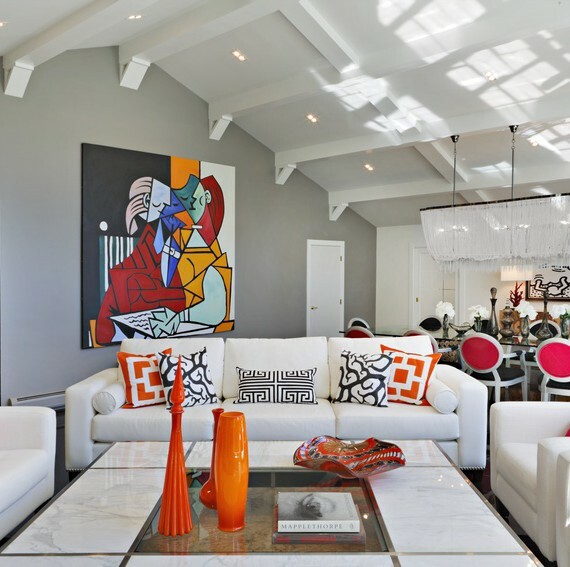 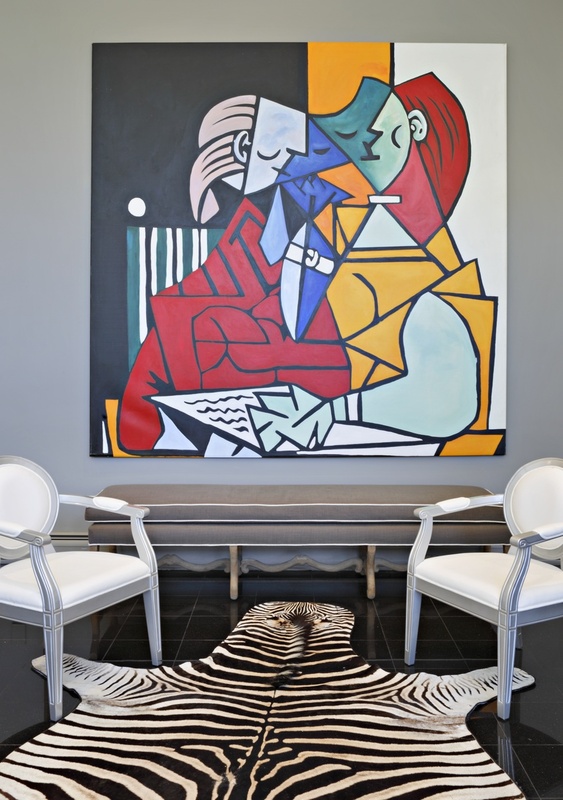 The interior design was mainly designed from tones of white to allowing the art collection of Picasso and Keith Haring paintings to be the star. 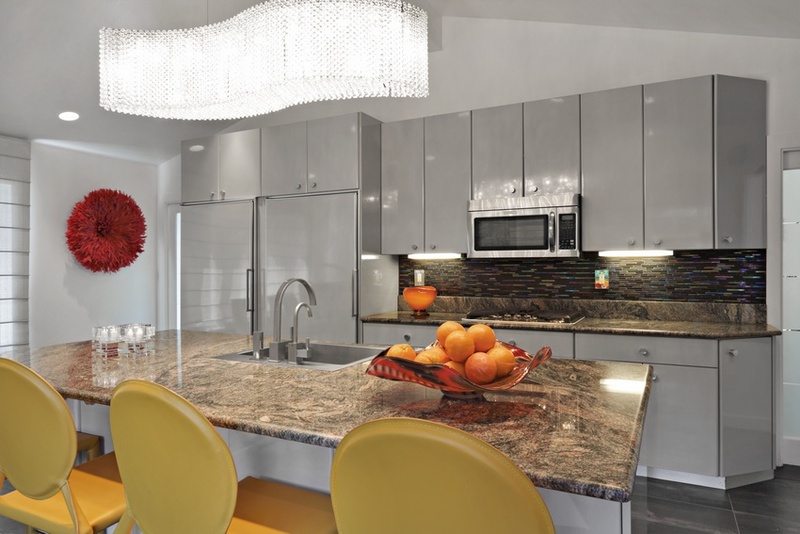 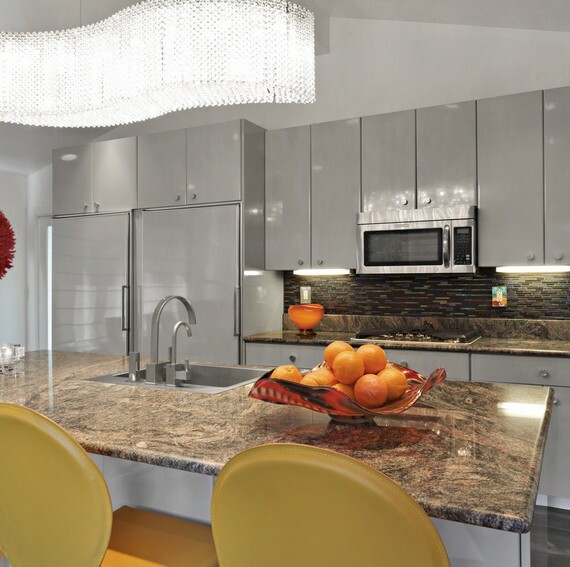 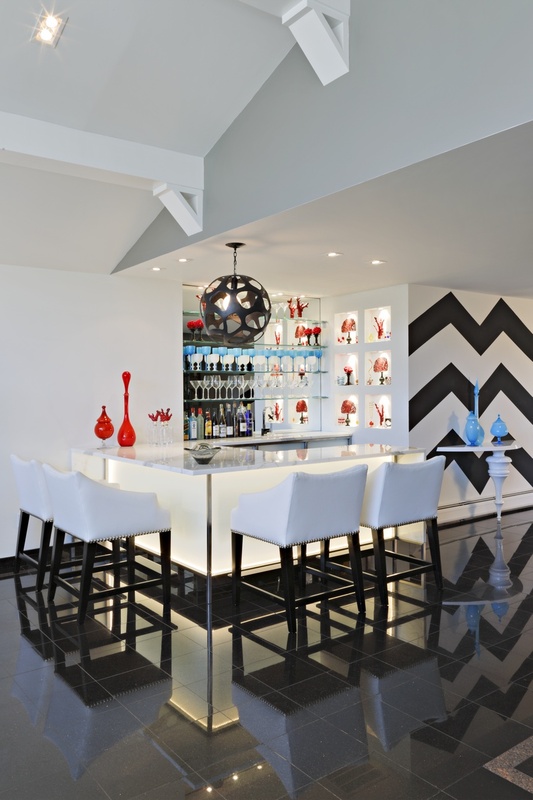 While Carrera marble, frosted backlit, chevron stripe and mid century glass are the accents used throughout.